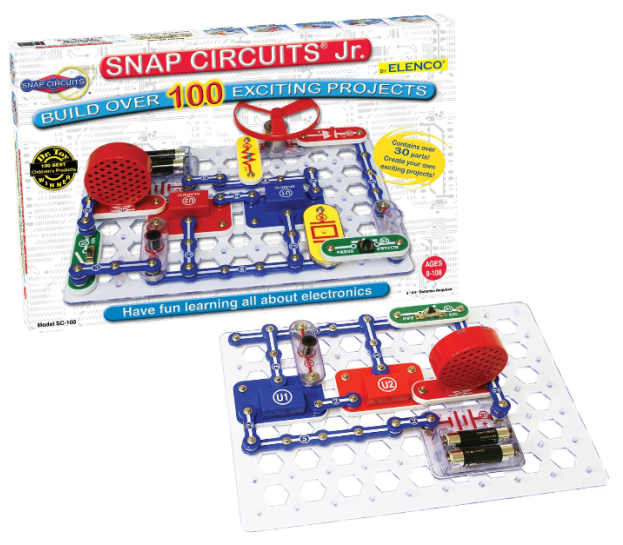 Winner of Dr Toy 100 Best Children's Product Elenco's new Snap Circuits makes learning electronics easy and fun! 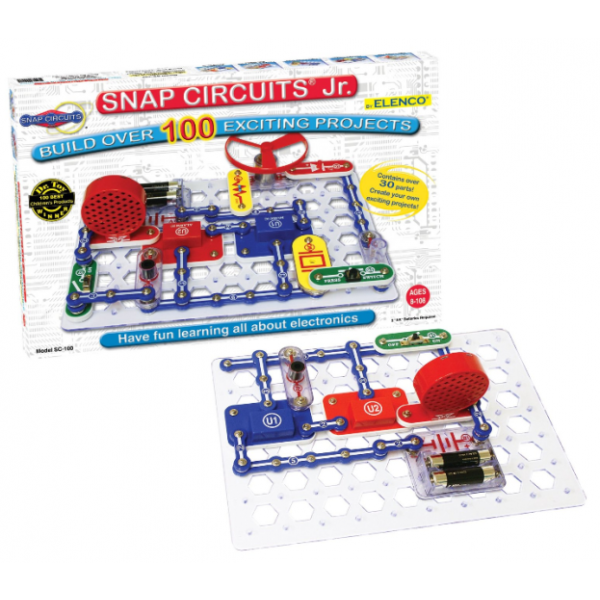 Give your child an exciting, hands-on introduction to electronics with Elenco Electronics Snap Circuits Jr. SC-100. This innovative kit contains over 30 color-coded, real circuit components that snap together to create working electronic circuits and devices. This set offers 101 do-it-yourself projects that will give your child an entertaining, concrete education on how electronics work. Just follow the colorful pictures in our manual and build exciting projects such as AM radios burglar alarms doorbells and much more! You can even play electronic games with your friends. All parts are mounted on plastic modules and snap together with ease. Enjoy hours of educational fun while learning about electronics. And when this kit gets too simple, you can expand it with any other Snap Circuits set.